Carnival Cruise Lines today unveiled Fun Ship 2.0, a program that it said will dramatically transform the onboard guest experience. The multi-year effort will offer guests new dining choices, more exciting bars and lounges, and entertainment options through partnerships and new branded spaces. 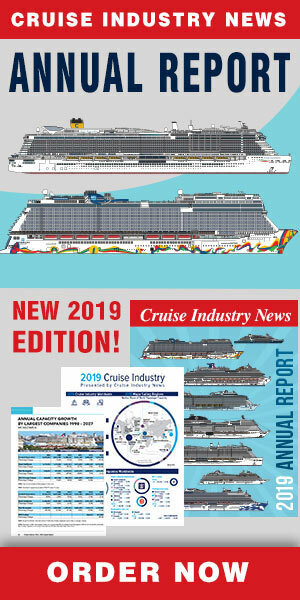 In the first phase alone, which extends through the end of 2015, Carnival will invest more than $500 million across its fleet. At an event today in New York City, Carnival announced partnerships with entertainer George Lopez, who will become Carnival’s creative director for comedy and enhance its fleetwide comedy clubs; Food Network star Guy Fieri, who will develop a burger venue called Guy’s Burger Joint; leading video game manufacturer EA SPORTS to create the first-ever EA SPORTS Bar at sea, and Hasbro for new larger-than-life game shows featuring iconic games and brands. The company also worked with leading production talent to create a high-energy musical showcase and announced that celebrity song master DJ IRIE was named Official DJ of Carnival Cruise Lines. Plus, Carnival announced more of its unique branded spaces with the RedFrog Rum Bar, BlueIguana Tequila Bar and three other fun themed bars and lounges, as well as a new complimentary BlueIguana Cantina casual dining option. Through its partnership with comedian and TV personality George Lopez, Carnival will bring more laughs to The Punchliner Comedy Club Presented by George Lopez. As Carnival’s “curator of comedy,” Lopez will act as a consultant on the vetting and hiring of comedic talent in one of the line’s most popular nighttime entertainment options, and advise on décor, lighting, music and more to enhance the overall comedy club experience. Pre-recorded voice and video messages from Lopez will welcome guests and club patrons, and a new Punchliner Comedy Brunch will keep diners laughing with live comedic entertainment in the line’s main dining rooms. Over the next year, the revamped clubs will roll out fleetwide, creating laughter during multiple shows each voyage. Carnival also said its new themed bars and lounges will fit any occasion, offering guests new destinations in a distinctive environment and signature drink menus to provide unique and unforgettable experiences. These bars will encourage guests to socialize and try interesting drink concoctions formulated by expert mixologists. Carnival has partnered with EA SPORTS, the leading sports videogame brand in the world, on a new sports bar concept. Designed to be the ultimate hangout for sports fanatics, guests can play their favorite EA SPORTS videogames, watch live sports on a massive video wall comprised of 16 different 46-inch big-screen displays, and keep up with real-time sports scores 24/7 live on the ticker. Whether challenging their sports knowledge during daily trivia contests, competing in EA SPORTS videogame tournaments or just catching the latest sports action, patrons can enjoy a full drink menu and popular sports bar snacks. Shorts and flip flops are welcome at Carnival’s two new fun and relaxed poolside destinations. RedFrog Rum Bar offers guests a Caribbean vacation vibe with a pool-side version of the Caribbean themed RedFrog Pub, which debuted on the Carnival Magic. It will specialize in Caribbean rum-based frozen drinks and beers, including Carnival’s private label draft brew, ThirstyFrog Red. Just across the deck will be BlueIguana Tequila Bar, providing a laid-back Mexican-themed atmosphere and specializing in tequila-based frozen drinks and Mexican beers. Live music will fill the area as performers will entertain patrons at both bars, along with those enjoying fun in the sun by the pool. “To cure what ails you,” Alchemy Bar is Carnival’s vintage-themed cocktail “pharmacy,” the go-to spot for guests who are seeking a unique experience with interesting drink flavors and ingredients. Carnival’s mixologists will “prescribe” concoctions from different fun categories or guests can also try their hand at creating their own custom cocktails. Meanwhile, The Library Bar is a new intimate cocktail lounge featuring bar service and automatic wine dispensers, ideal for guests seeking a more relaxed and quiet venue. Carnival is also expanding on its array of dining options with new venues that focus on free favorite foods that are popular among guests, including burgers at Guy’s Burger Joint and fresh Mexican cuisine at the new BlueIguana Cantina. This complimentary poolside dining destination offers guests freshly made burritos and tacos on homemade tortillas they can make their own with a variety of salsas and toppings. Hungry vacationers can also watch the tortilla maker create fresh wheat and jalapeño tortillas, then enjoy three types of tacos with a variety of toppings, and three kinds of burritos with fantastic fillings, plus chips and salsa. Carnival promised to take shipboard entertainment to a new level. Working with leaders and industry experts from George Lopez and Hasbro to DJ IRIE and top Broadway producers, Carnival said it will offer not only a larger variety of new high-caliber entertainment but also more interactive shows for guests to enjoy. Playlist Productions is a retooling of the line’s legendary revues that combine live performances with high-tech LED staging and special effects that Carnival said will set a new standard in seagoing productions. These popular music-driven revues featuring a diversity of musical styles, genres and eras are designed to appeal to a broad cross-section of guests. Playlist Performances will have guests singing along and dancing in their seats during the hit-packed, 30-minute shows created by leading producers, directors and choreographers who have worked on critically acclaimed productions for Broadway, London’s West End and some of the world’s most popular musical acts.